It's said that people who catch fish have a story about "the one that got away". Purveyors of common-ancestor evolution go further, telling about the fish that climbed onto land, learned to breathe, and evolved into amphibians and (eventually) people — it's not the fish that got away, but the fish ancestor that never was. Evolutionists claim that certain characteristics in fish are convincing evidence for evolution, but that is not the case. There are several species of fish that are amphibious, having lungs and the ability to "walk". Despite what Darwinian owlhoots claim, they are still fish and not in the process of turning into something else. Meanwhile, some evolutionary scientists are claiming by tinkering with the SSH (Sonic hedgehog gene), they can get clues about how we got our legs from cartilaginous fish. What they learned is that they can cause slight changes in organisms through intelligent human intervention. Sure, they have "evidence" — they have drawings and charts. Yee haw yawn. What they have is conjectures and opinions asserted as if they had reached conclusions through scientific research, cherry-picked data, inconvenient facts ignored. Fact is, there is no evidence of fish-to-fish farmer evolution because it didn't happen. The evidence shows that life was created. Among the most iconic evolutionary fish stories is a tale about fish: once upon a time fish evolved lungs and legs, crawled out onto land, and evolved into terrestrial vertebrates. Fishy fables claiming that “gill slits” in human embryos show that terrestrial vertebrates recapitulate their evolutionary heritage back to a fish stage have been a long-standing (though often refabricated) component of this fairy tale collection. The colorfully named Sonic hedgehog gene’s similar functions in the embryonic development of chicken wings, fish fins, and human fingers livens the tale of our alleged ancestral relationship with fish. Living fish that do push-ups, leave the water, or have lungs or lung-like organs fuel this fantasy with tantalizing hints of what might have been. Like Henry Limpet (Don Knotts) in The Incredible Mr. Limpet of fictional movie fame, evolutionists have illustrated charts depicting transitions from fish to terrestrial vertebrates like us. Despite their rampant worldview-based colorization of a black-and-white reality that demonstrates no such thing, evolutionists are confident that there really was a fish-to-walker transformation (not the zombie kind). 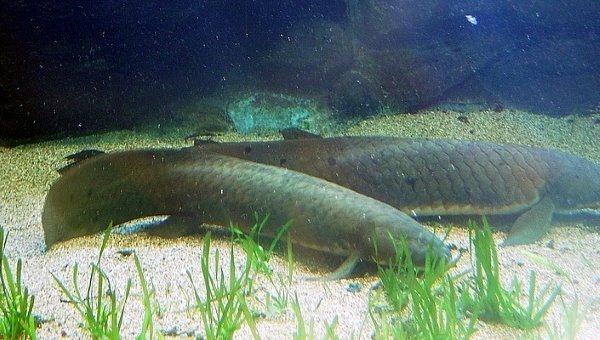 The latest research claiming to shed light on life’s evolutionary leap to land includes a study cataloging land-loving fish, another peering into the pelvis of a blind cavefish, and a third using Sonic hedgehog to resurrect an evolutionary tale tracing our legs back to the gills of cartilaginous fish. Don't carp. You can read the rest by clicking on "Do Walking and Waterfall-Climbing Fish or the Sonic Hedgehog Gene Reveal How Life on Land Evolved?"